This double sided safety tag reminds staff that items should not be moved from certain locations. 5. 4mm Matt PVC: Lightweight, matt white PVC. Glare reduction, durable and waterproof. 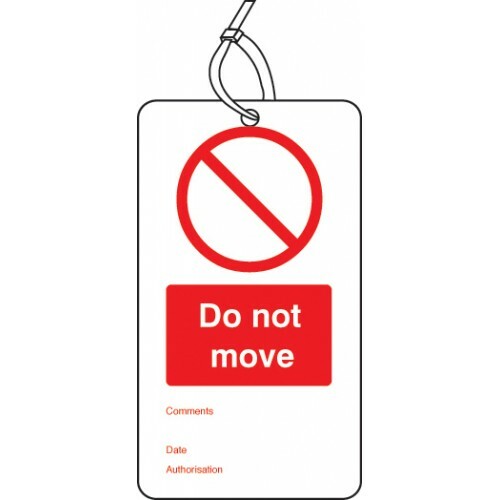 This double sided safety tag reminds staff that fixed scaffolding ties should not be removed. Pack of 10 Supplied with 150mm nylon cable ties Miscellaneous Products / MaterialsAny product outside of ..